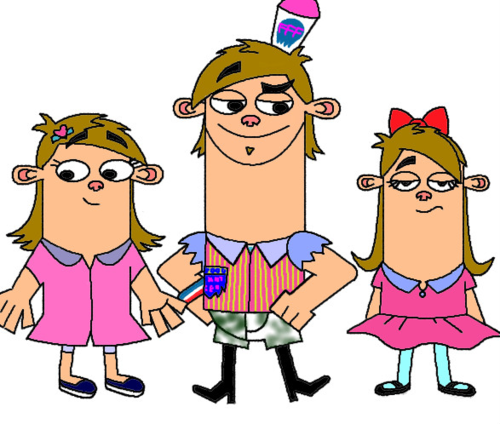 Boog with Sister and Cousin. . Wallpaper and background images in the Fanboy ''N'' Chum Chum club tagged: boog fanboy and chum chum. This Fanboy ''N'' Chum Chum fan art contains anime, bande dessinée, manga, and dessin animé. 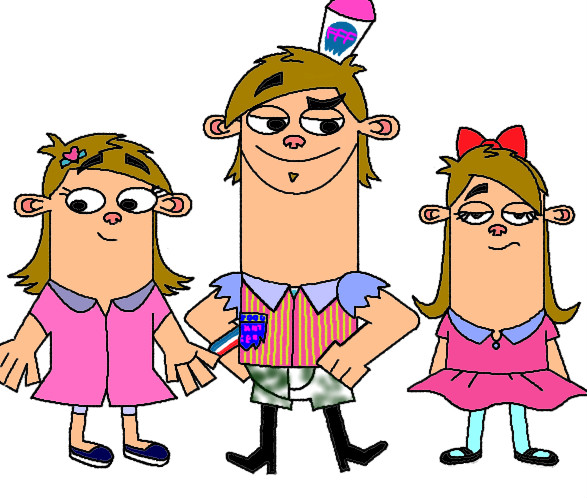 I made a sister and cousin for Boog, too, but they don't look a THING like that! Well, whoever did, I think they did a good job! My compliments to the artist!